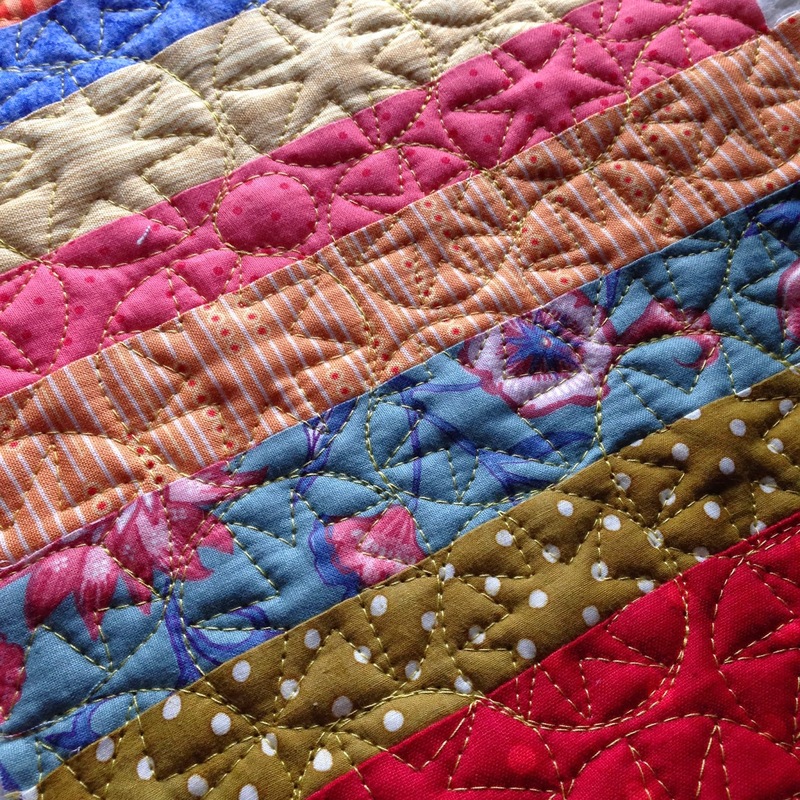 A Few Scraps: FMQ weekly: Starbles and Craftsy giveaway! 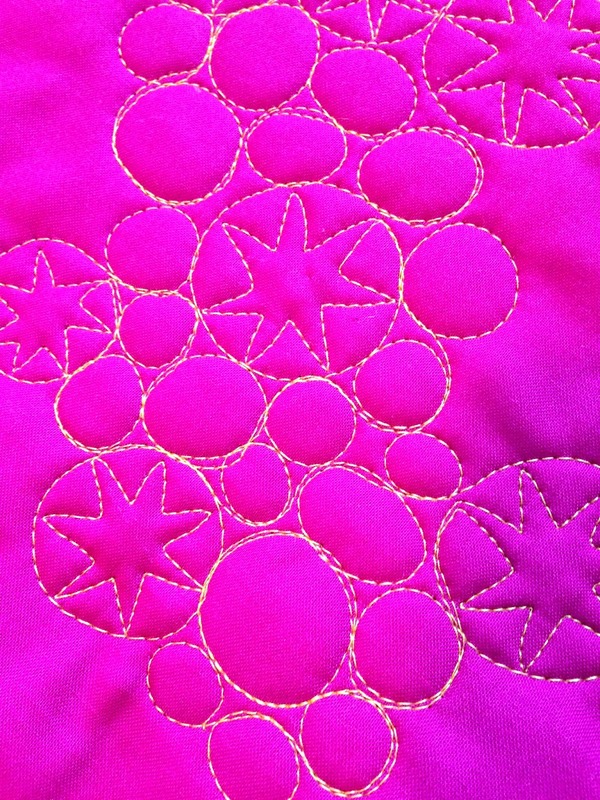 FMQ weekly: Starbles and Craftsy giveaway! A few of you mentioned my gloves following my last post. I can't believe I haven't mentioned this yet (well, I did, but only on Instagram...). I cut off the first two fingers and thumbs from my quilting gloves. I love it. Now I can thread my needle, fill my bobbin and even use my phone without taking off my gloves. It's also much cooler in the summer. Very happy I did this. Ok so I made another no-narration FMQ video! Thanks for the supportive comments and suggestions, this is a fun way to share the free-motion love. This is a pebbling design variation. 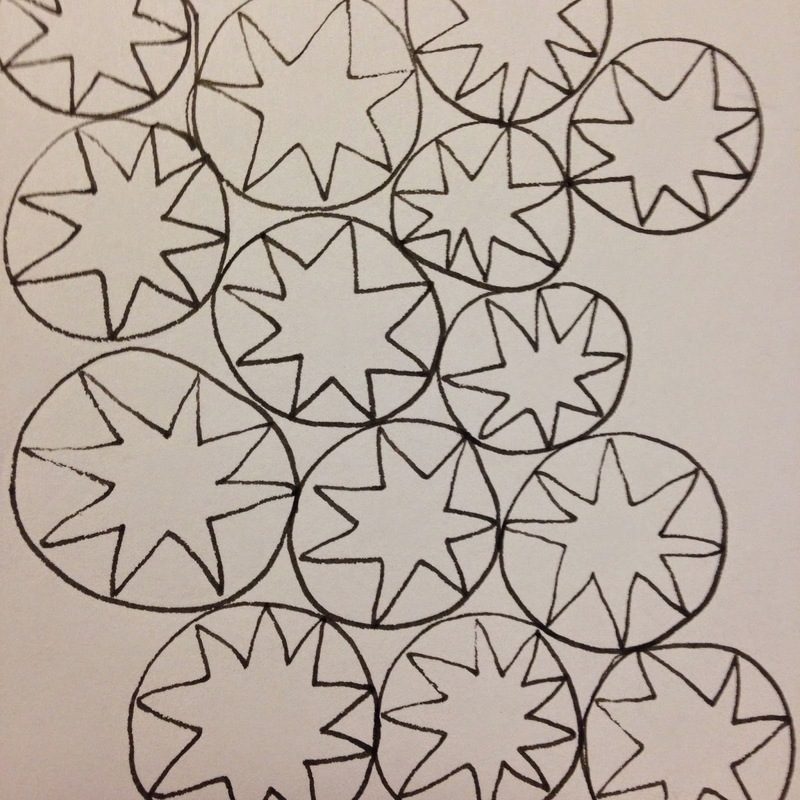 I'm going to call it Starbles, as in Stars + Marbles = Starbles. a. To start you make a circle. A big one, because you have to fit a star inside. b. Then you extend a line into the circle. Not directly toward the center, but a little off to the side, in the direction you intend to go around the circle creating your star. 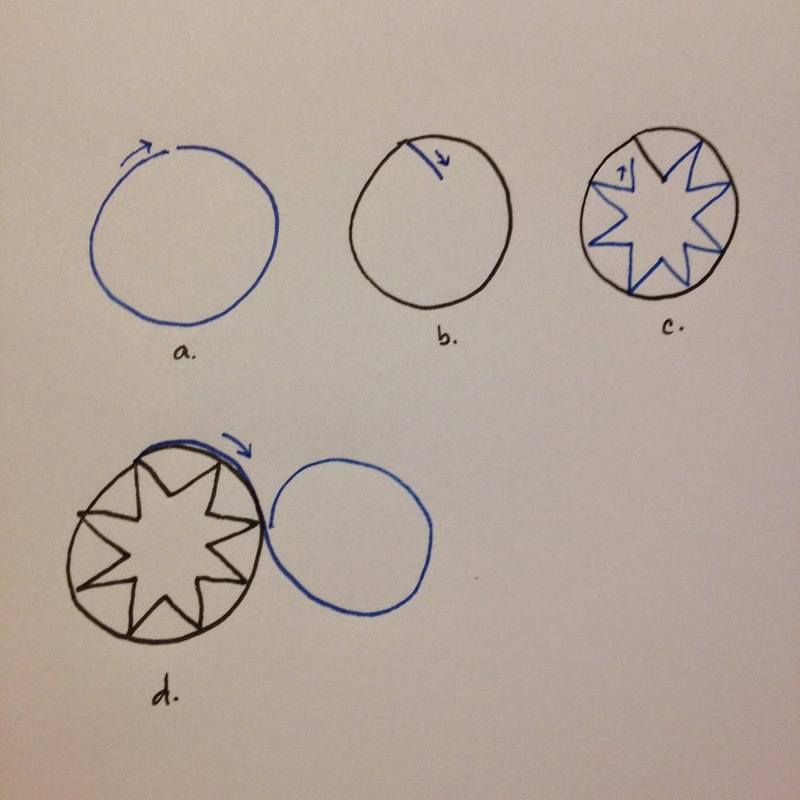 c. Then you go around the inside of the circle creating more points, until you return to the point you started. d. Then travel around the outside of the circle and start your next one. You can do this for every pebble like above but I think it looks pretty sparkly to just do it in an occasional pebble. I show both in the video. If you watch the video you'll see that my machine is occasionally skipping stitches. That's from a dull needle. After the video I replaced it and everything was better. 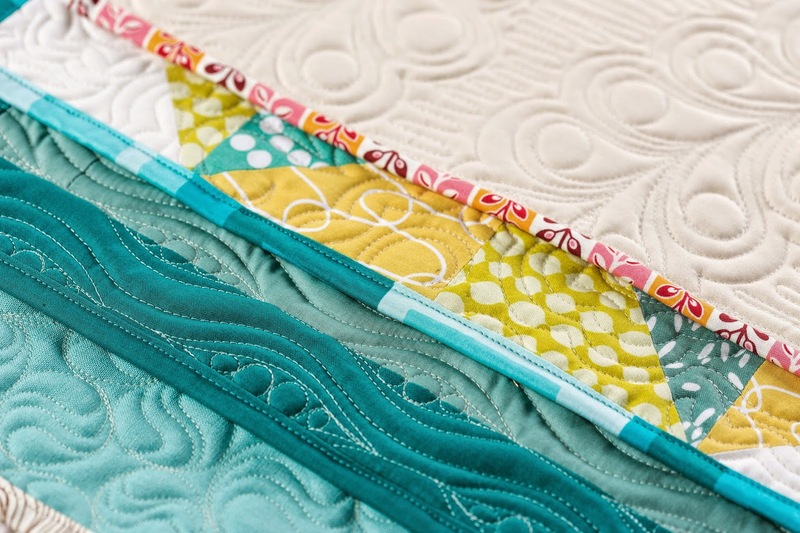 So with things getting close I am going to have a giveaway for one lucky quilter to take this class for free! I would love it if one of my blog followers won! Please enter at this link. The giveaway has ended and if you want to take the class now you can! Ok that was a lot of info for one blog post. But I didn't want to wait to share any of that! Happy stitching everyone. 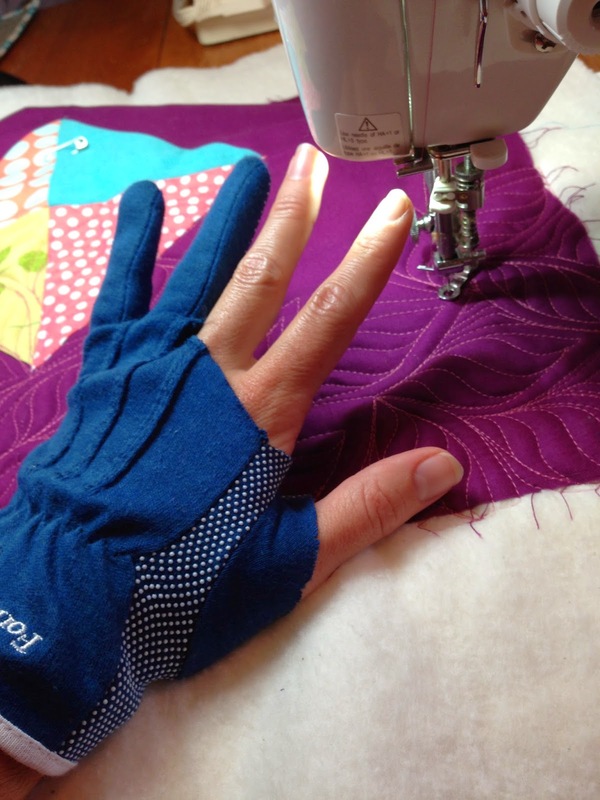 Cool tip about cutting a couple of tips off our gloves for FMQ. I can never thread my machine while my gloves are on. I love the Starbles design! You are such an inspiration. Thanks so much for the video. I love adding new motifs to my quilting notebook. I just found your blog, and I'm liking what I see! I've already tried out a few of your designs, so I'm excited to learn more about your Craftsy class. Thanks for the chance to win! Great quilting idea. I really like the occasional star for "sparkle"
You make the best designs ~ especially like the random star pattern the best! I'd sure love to 'win' your class ~ tho it would be better in person! This was a very useful post. Think I use this design in my next VA quilt. Thanks for the video and the chance to win your class. I love your brilliant tutorials and the starbles design! Thanks for saying about dull needle - I am trying to learn FMQ and have a terrible time with skipped stitches and just ordered some quilting needles. And - a Craftsy class taught by you? Omigosh - I need to win this! You are so inspirational! Love this stitch design. You make these Starbles look so easy!! 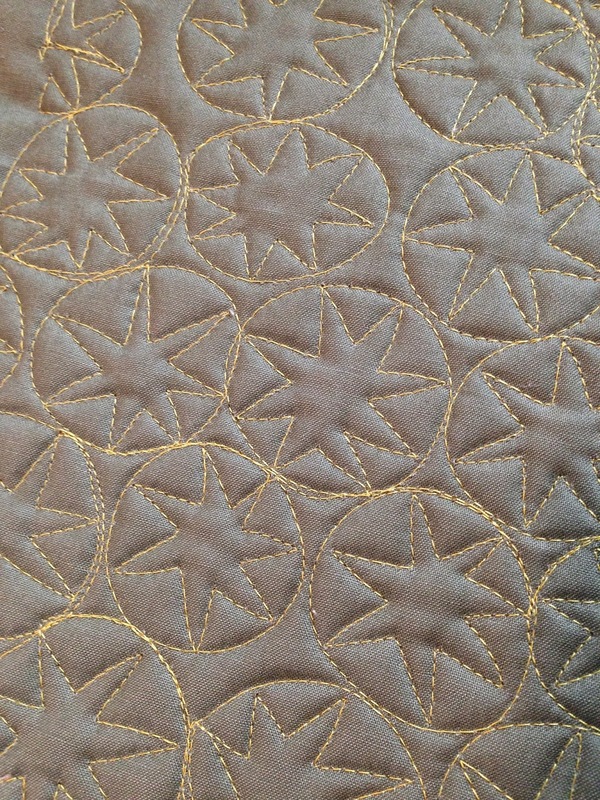 I haven't taken the fmq step yet (I keep asking myself why not!). Anyway, I have your book and I'd probably purchase your class anyway because I consider your cool little videos as introduction to FMQ!! I particularly like the look of the one where you included only a few large stables amongst many smaller circles. Congrats on your crafty class.